Interesting way to introduce gamers to classics. Wonder if the SP versions will all be just easy modes, or if we'll get more exciting things. Disappointing that SP (so far) means super easy mode. They should've replaced Link with Tingle. I am waiting for more infos on that Second Quest. So they're official ROM hacks ? I think they are referring to the normal second quest in the original version of the game. Wonder how this fits in the timeline. Destitute Link and wealthy Link. Haaaan yes I forgot about this one. When you boot the game, it should play Shane McMahon's theme song. I never beat this back in the day when NES was still a going concern because a) I was too young and b) it took me a long time, pre internet and without buying magazines or phoning help lines to know what to do. Having the magic shield and the blue ring be the first things you go after makes the game so much easier once you know to do that as soon as possible. It's ruthless otherwise, as lots of games were back then, because they needed to give you hours out of kilobytes. I kind of understand and like the approach to be honest. People more in tune with today's difficulty standards will be far more likely to progress with a good start. And the original is still there, so best of both! That's pretty cool. If they did something like this for The Adventure of Link I might actually be able to beat it. If you essentially releasing rom hacks, hurry up with a Randomiser one for a game. A Nintendo Made Randomiser would be interesting. Nice. Maybe I finally will play this game to the end. Wonder why they aren't making a bigger deal out of this, this interests me more than just the regular game. What were the other games listed as "SP" on the Nintendo website? Wonder how many of them they are planning to release, and if they will all be easy modes or something different. I need Advance Wars to be on the Switch! That's actually really cool. Wouldn't mind more "official" rom hacks. Wonder what Gradius is getting, it's been my most played NES Online game so far. This is interesting, and promising for the future of the service. If they can make the NES catalogue a mix of emulated classics and throw in a good dose of NES Remix-esque alt versions like this they could have something really interesting. 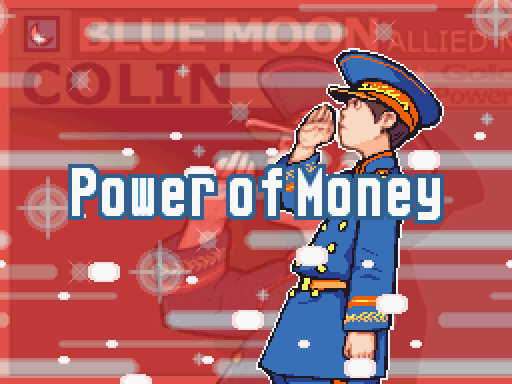 Remix got me returning to NES games I'd never clicked with after I had played the bitesize remixed versions, and if Nintendo can expand the SP versions to include that kind of ROM hacking playfulness it would be a valuable addition to their offering. Now, just up the pace of releases and add more systems! That's cute. My usual route involves collecting everything I can before even attempting Level 1, so this is basically useless for me, but it does take out a solid 30-40 minutes of finding random rupee and heart container locations, items to buy from the cheapest shops and exploring over 50% of the world before even starting the game for real. Metroid with an auto-map please! Edit: And full health after a death. ROMs with built in Game Genie. Paying for cheats, even in old games. I imagine a Contra version would just come with the Konami code activated from the jump. Thanks a bunch! Not surprised at this selection, it's all big, popular games. It would be cool if they added Game Boy games later on with an official randomised Pokémon game. These SP games have some potential. Huh. 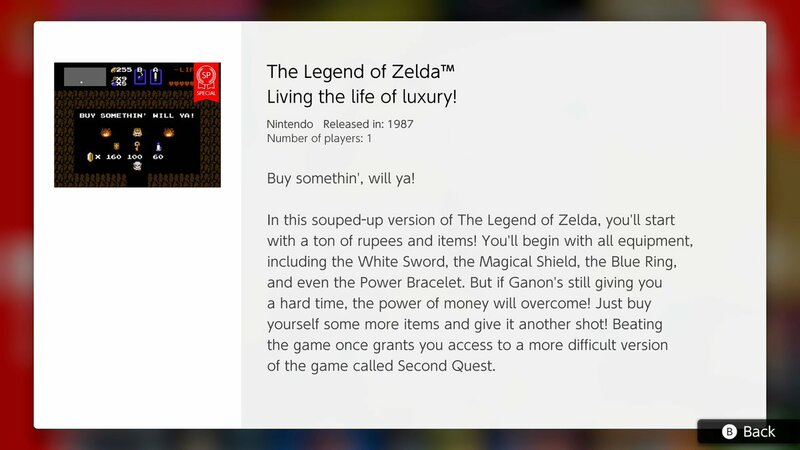 Not interested in a mode like this for Zelda myself but plenty of NES games could use it. I look forward to finally be able to beating Gradius. Even with save states, some of the latter stages are hell. So I will finally be able to play this? Super Mario Bros SP should just be the whole game like those Mario doesn't stop sliding levels found in NES Remix - complete with the show graphics. Most interesting of these is going to be Dr Mario. The others lend themselves to "start with lots of stuff" and other cheats pretty easily. Dr Mario doesn't really. This is a great way to play older games that aren't as accesible for today's standards. Plus, the original versions are still there for those who want to have the original experience. So, not so much paying for Game Genie codes per game, but I still expect a Konami Code laden Contra SP. All this effort put into......NES games. I'm legit disgusted and confused at the same time. Check back again on the 30th for full explanation. Man I wish they would just throw Dr. Luigi U on the eshop. Please make the SP version of Metroid having a longer range shoot. Vanilla LOZ is already on the service right? This doesn't count as one of this month's NESflix games right? It's not one of the three. I mean, it says it right in the OP.